Happy Wednesday! 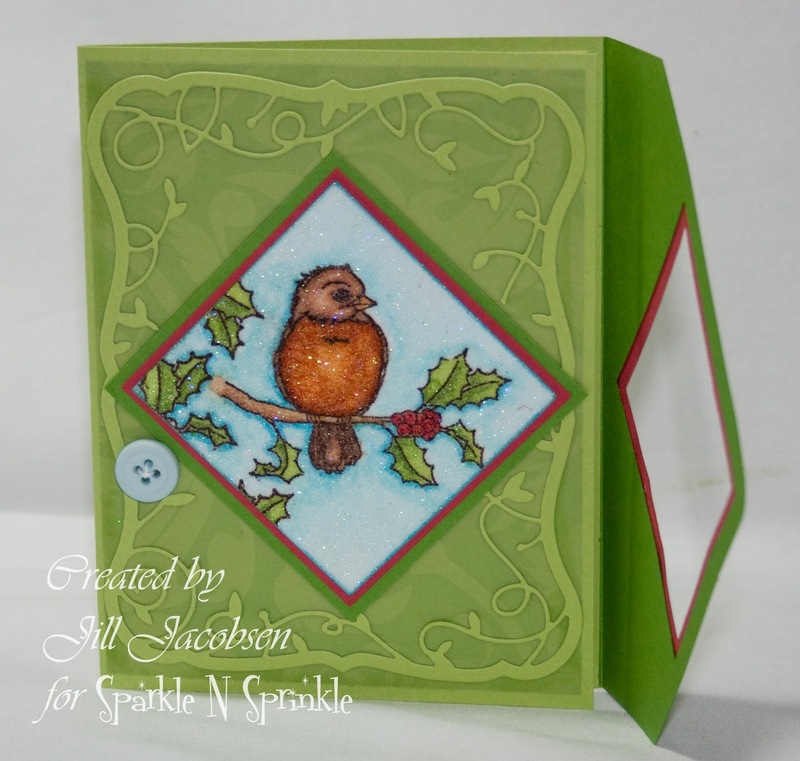 I had a great weekend...got a lot done along with some stamping! 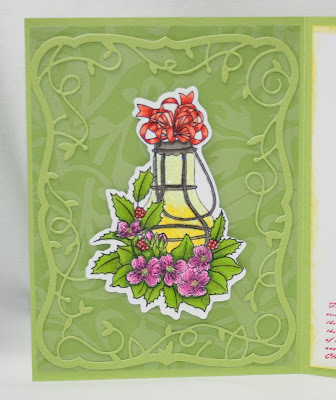 I saw this Fancy Flap card on Pinterest and wanted to try it out. You can view the video here of how to make it. 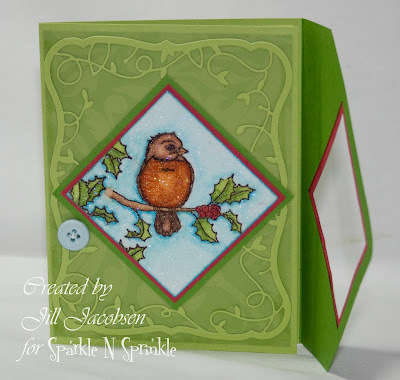 I used a new stamp set from Sparkle N Sprinkle, Christmas Holly. 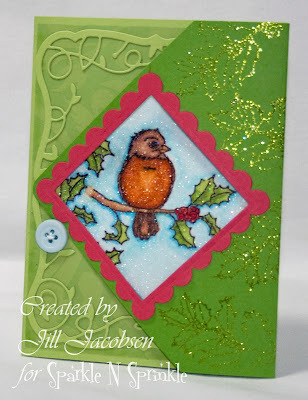 I used the 2 1/2" Tear-ific Tape and laid it on a piece of card stock and covered it with Cloud Nine Velvet Glitter. 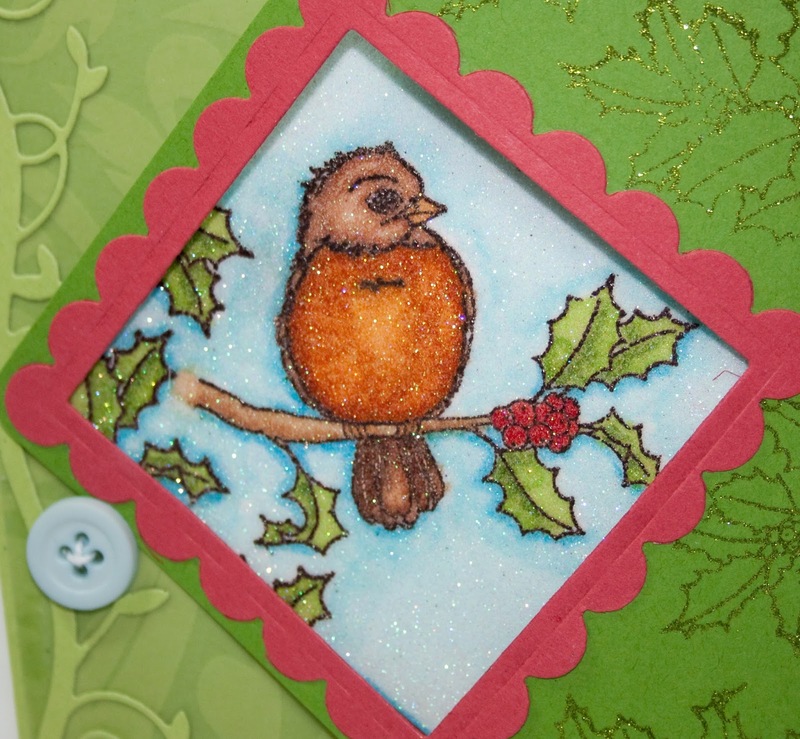 Then I stamped the cute robin with Versamark and embossed it with Teddy Brown EP and colored it with my Copics. The Velvet Glitter is so fine and soft it embosses great! And so fine you can use your Copics...but instead of coloring your kind of dab your ink on. You don't want to color over the embossed part, just in between the lines. 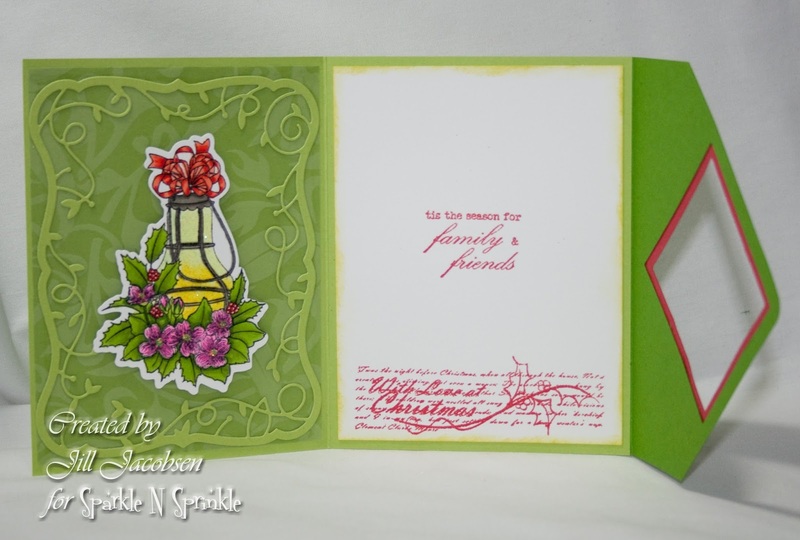 I have a new Memory Box die Twirling Vine Frame and used that on the inside and on the front. I also used the Square and Scalloped Spellbinders Dies. 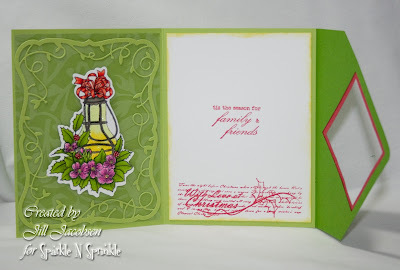 I have a piece of green pattern vellum under the frame die. 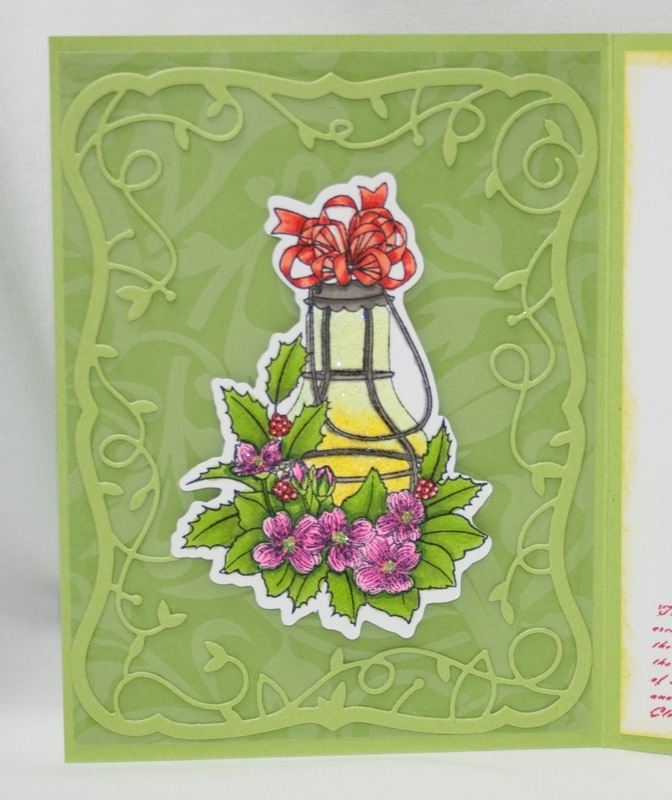 For the lantern on the inside I cut it out with a Cut file on my Pazzles machine and colored with my Copics. I then used a Penboss Marker and used Sparkle EP on the glass portion of the lantern. 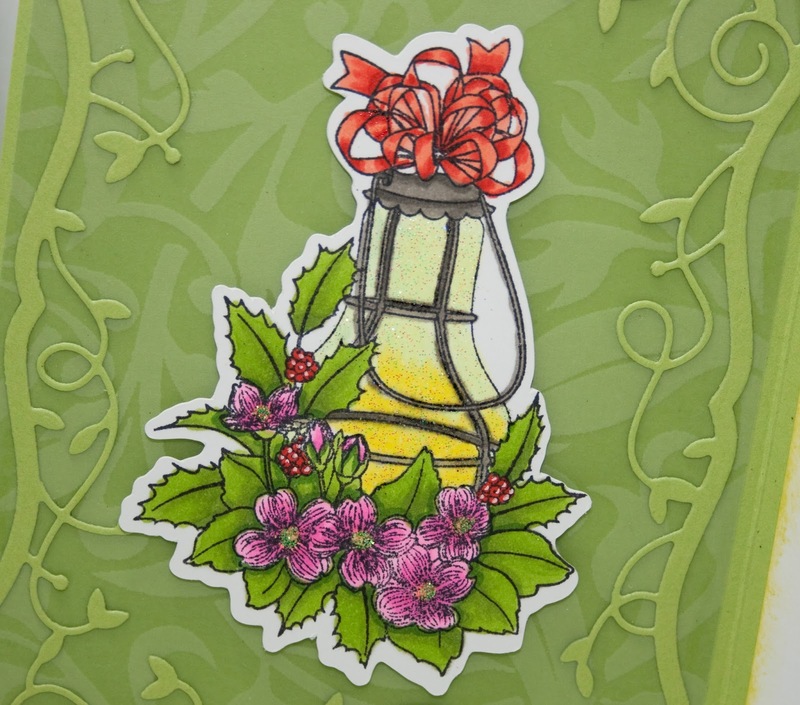 The flower centers have Lemonade Glitter applied with a Glue Pen.